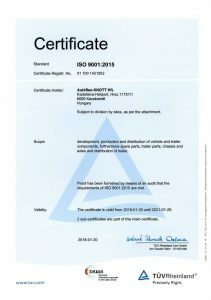 These are the watchwords that characterize AUTÓFLEX Group in the market of trailer parts! They serve as a motto for our Company to keep an orientation where high-standard production is performed in the field of automotive industry, and at the same time as a basis of long-term relations. Flexibility is useful in satisfying customer demands in terms of time, quantity and quality; whereas development helps to improve the effectiveness of our products, manufacturing processes, energy consumption and manpower. Our work gives priority to quality, meaning that the successes, satisfaction of our partners are the indicators of our efficiency. AUTÓFLEX Group has the goal to see every third trailer made with Autóflex products all over the world. Currently, it is true for every third trailer manufactured in Europe. We win over customers with our high-standard products and services, as well as our care dedicated to the maintenance of contacts satisfying all associated demands. We pose stringent requirements on ourselves and our suppliers; they all go back to customer demands and expectations, and comply with the relevant legal regulations, the obligations we undertake. For our customers, we ensure technological innovation, consistent development in the field of production processes and product manufacturing. Our R&D activities are pioneering in developing innovative technologies for the trailer market. In the organizational and technological fields, we drive continuous improvement. We organize our processes by following energy efficiency, based on the requirements of Standard MSZ EN ISO 50001:2012. We aspire to creating an atmosphere and culture where effectiveness, the prevention of faults, renewal and quality, the consistent improvement of energy efficiency are all natural demands. In all areas of our activities, we attribute priority to the criteria of quality management and energy efficiency, and they are also enforced in our business relations. 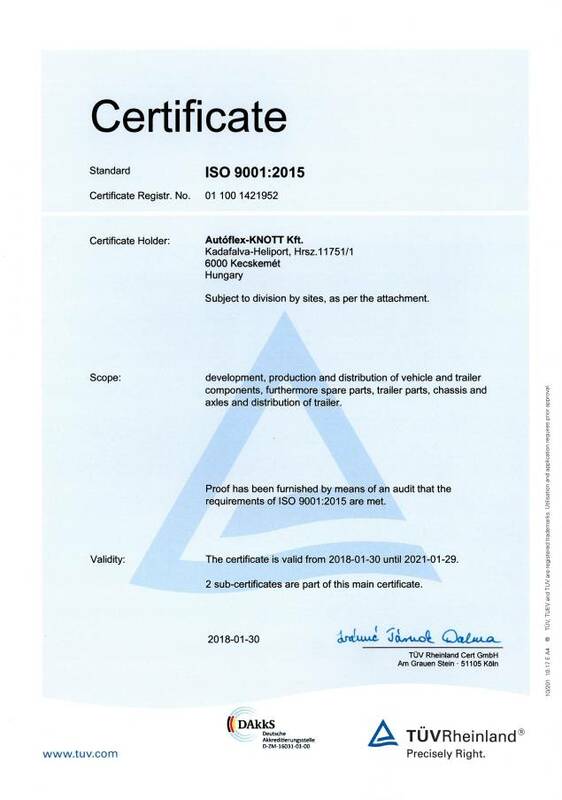 To keep the trust of our customers and satisfy their demands to an utmost extent, as well as to meet our shareholders’ expectations and ensure long-term, successful and energy-efficient operation, we operate and ensure the continuous development of an integrated management system in line with Standard MSZ EN ISO 9001:2015 and MSZ EN ISO 50001:2012. Our Company’s management and all our employees are committed to quality and the efficient use of energy. With our suppliers, we strive for forging long-term, mutually beneficial relations. We expect our suppliers to deliver products, equipment and services that meet the prescribed and reasonably expectable quality and energy-efficiency requirements. The effective operation of our integrated management system allows our Group’s management to assume firmly grounded responsibility for our products and energy-conscious activities.